Michells & Butlers are the powerhouse behind some of the most ubiquitous restaurant and pub brands in the UK including All Bar One, Toby Carvery, and Browns. While they had a physical presence in many locations, online they had not kept pace. Specialising in digital transformation, we partnered with them to work on a digital vision and transformation programme to support a seamless and innovative experience across multiple digital touch points. Working in close collaboration and focusing on extending the physical experience into the digital space and developing a complete end to end customer journey. 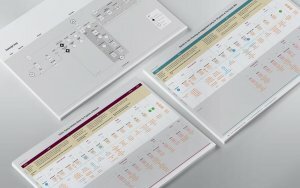 Using the rigorous service design process, involving in-depth interviews, prototyping, testing and iterative development, together with customers, Mitchells & Butlers stakeholders and technology partners, we are introducing a series of new digital restaurant experiences and services that amplify the customer experience. 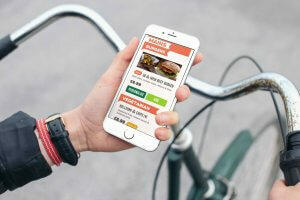 We identified that perception of their brands was intimately shaped by the digital offer, particularly on mobile, long before diners stepped through the door. We made it easier for diners to self-serve – including booking, pre-order, in-location tabel booking, order take aways, plan special occasions, book across the brand portfolio, explore the menus, ask for special dietary requirements, hear about weekly specials and gain rewards for loyalty. The seamless digital experience is engaging diners, staff and technology partners and has seen an upswing in bookings, guest acquisition and a significant increase in brand perception. 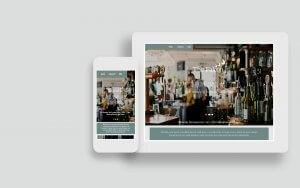 The TEN difference- increasing restaurant footfall, across a UK-wide estate, by making it easier to engage online.